LEE COUNTY, Fla. -- A man accused of walking out of a Family Dollar store with a cart full of merchandise is now in the Lee County Jail. 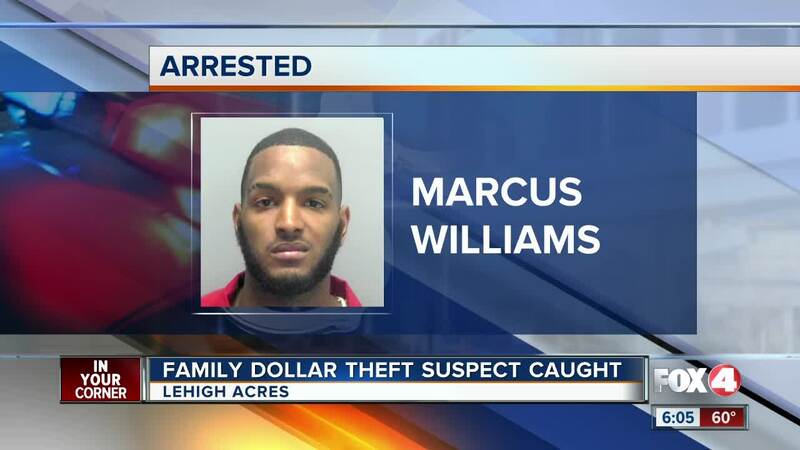 22-year-old Marcus Williams was arrested Thursday and charged with Larceny. According to Southwest Florida Crime Stoppers, Williams stole approximately $100 worth of merchandise from the store on Joel Boulevard in Lehigh Acres. On Wednesday they tweeted out a surveillance image of the suspect and began getting numerous tips about the theft.